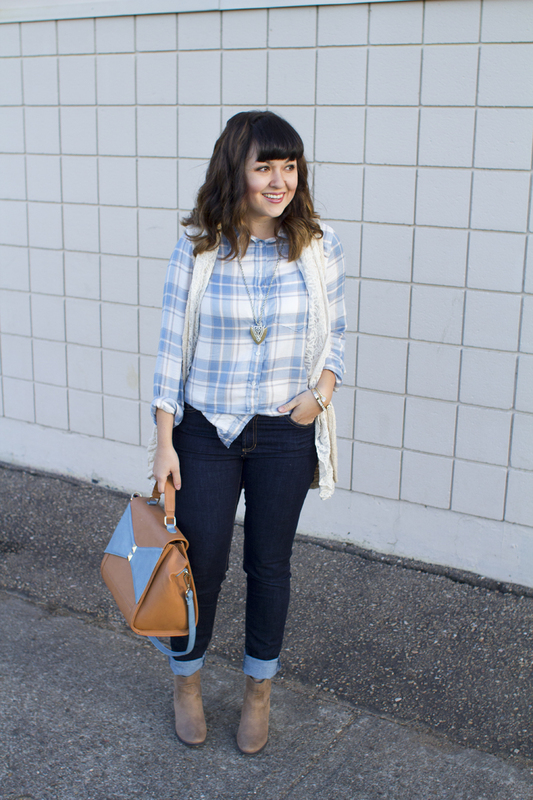 I’m sure you’ve noticed by now, the 70′s are in for fall. When trends are inspired from past decades, you have to be careful not to appear like you are wearing a costume. 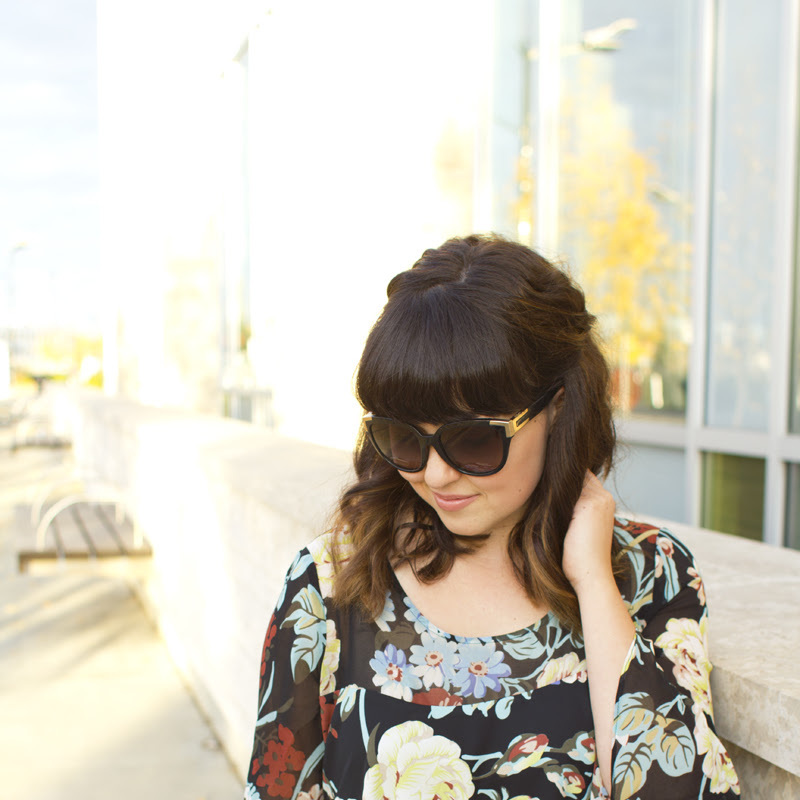 I like how my Chloe sunglasses and floral dress are both nods to the 70′s. 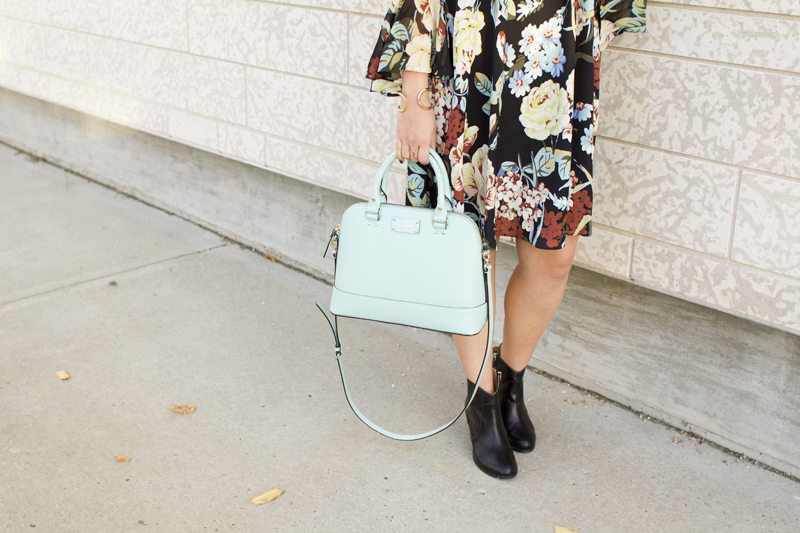 I tried to modernize the look by pairing it with my Kate Spade NY tote & black booties. 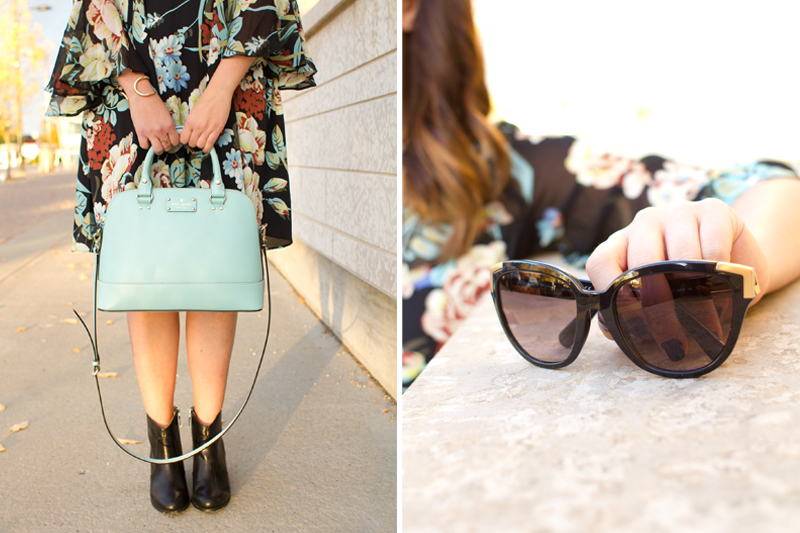 If my full floral bell sleeve dress is too much for you but you want to try this trend, keep it simple with a pair of sunnies. 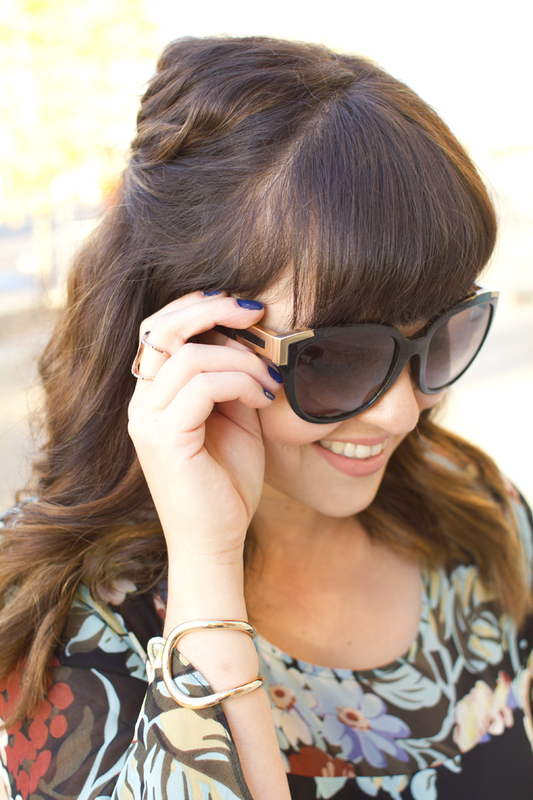 SmartBuyGlasses has like a trillion sunglasses, okay maybe not a trillion but lots of options. 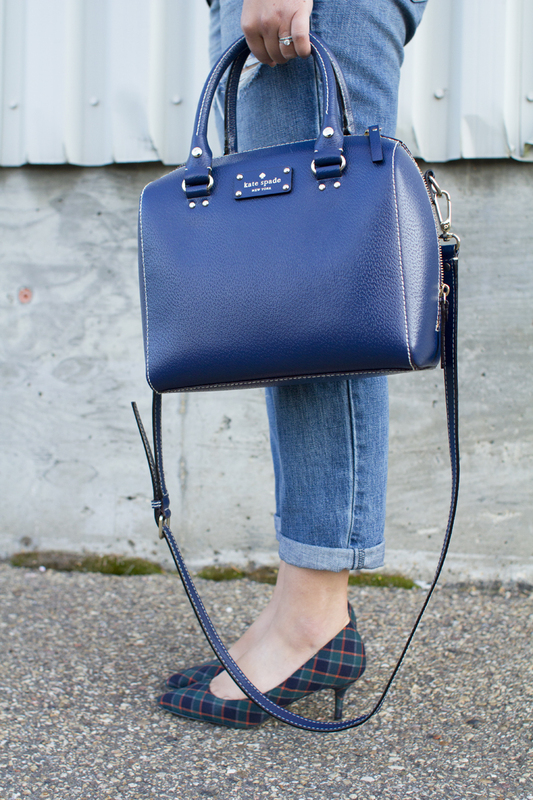 Personally anything by Chloe is right up my alley & always has that vintage but classic feel. In other 70′s for fall news, how are we feeling about the bell bottom coming back? I can’t decide! Speaking of jewelry, I am always on the lookout for new lines. I was delighted to come across MATY, a jewelry company from France. We all know when it comes to style those French girls know whats up. 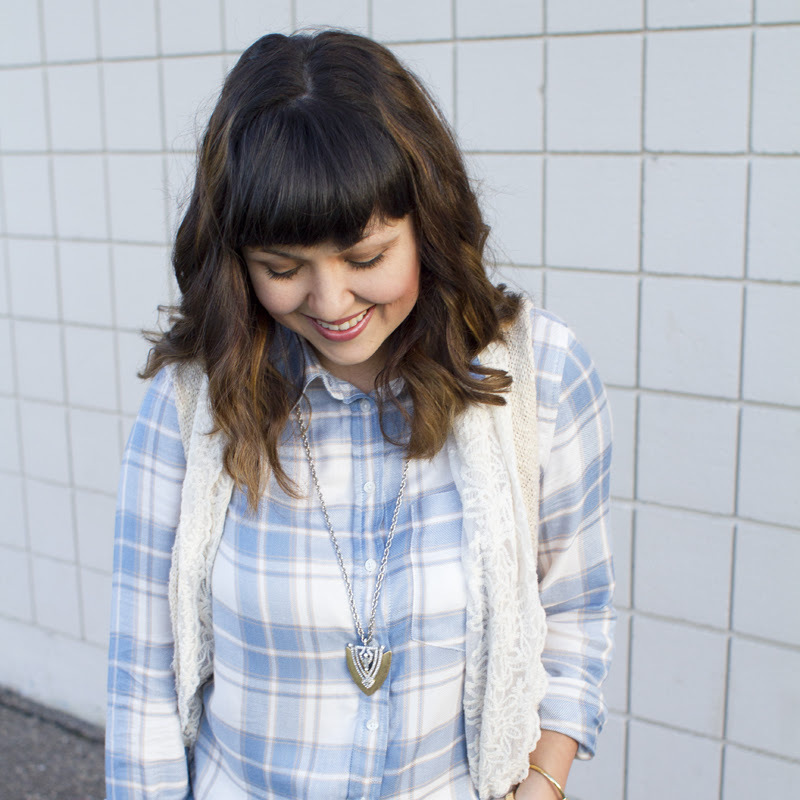 MATY’s selection of jewelry is endless and gorgeous. Personally, their collection of bracelets is what I have my eye on. Ok, I might have my eye on a few other things as well :) If you are drooling over the the items above, don't worry I’ve linked to them below. 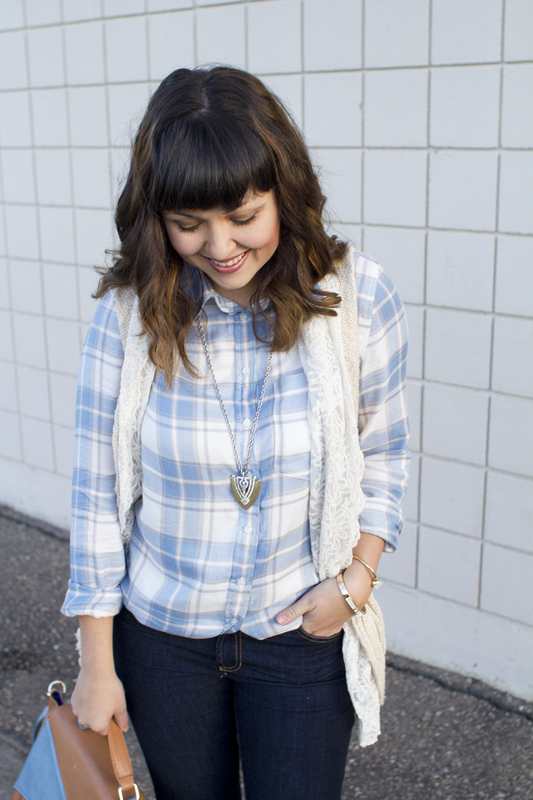 Maybe this outfit was a little country bumpkin but I couldn’t help pairing these pieces together. 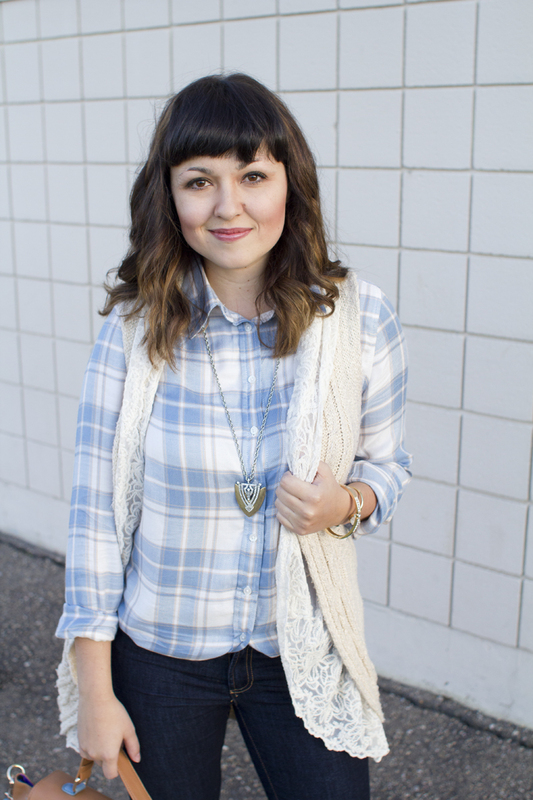 Something about fall just screams plaid to me (or to all us fashion bloggers apparently, that and pumpkin spice lattes). 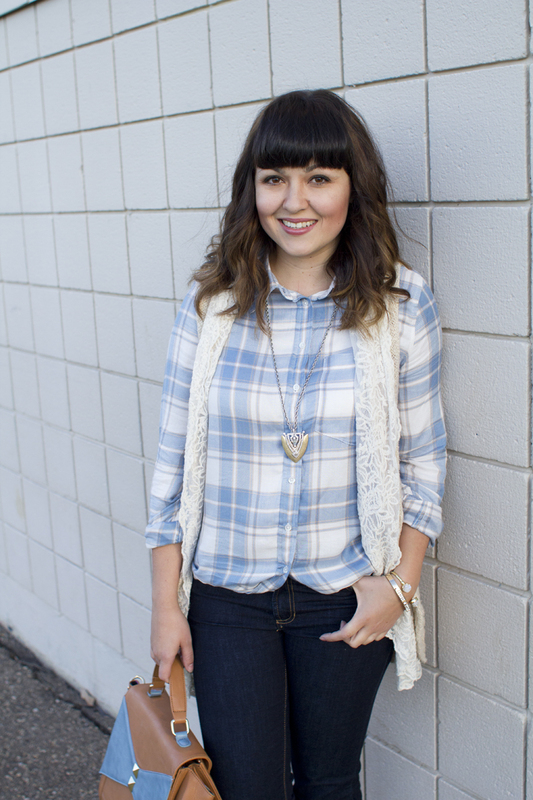 This knit lace vest is from last year but it still works this season as well. One tip I find useful is, if you spend a little more money on a piece make sure it can be worn for several years. I found similar vests here & here for you, if you want to try it out. 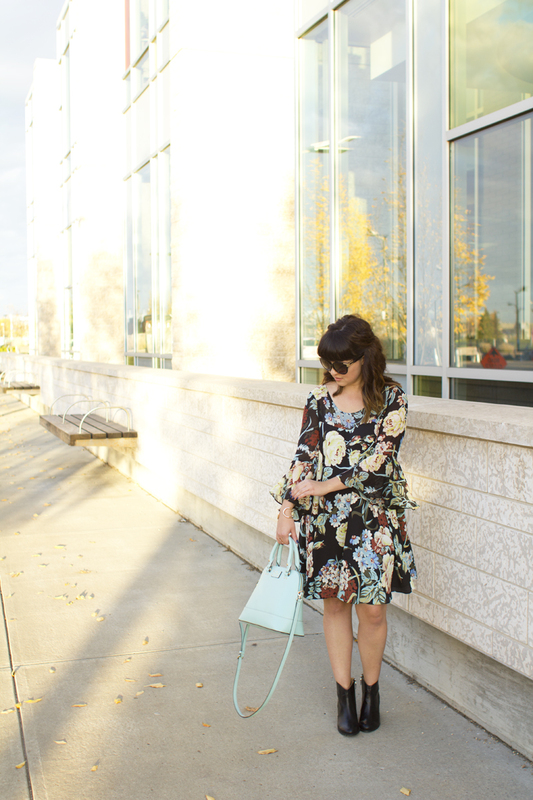 It is also an awesome piece for layering over cute dresses (I’m thinking it would look great with this little floral number). 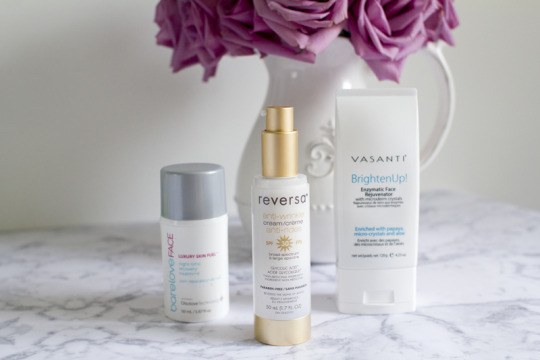 For the last little while I have been testing out a few new to me skincare lines. Here is my low down on the products that I tried. Barelove FACE Luxury Skin Fuel: First things first, this product smells absolutely delicious. Usually a lot of my night creams have no scent or smell chemically but not this bad boy. In fact the hubby said I smelt like dessert. It suggests to pat one pump all over your face before bed. I have found a tiny pump works best, as it goes a long way. It is on the thicker side but absorbs pretty quickly. I look forward to seeing how smooth my skin feels each morning after applying this at night. Reversa Anti-Wrinke Cream SPF 30 c/o: My number one must have skincare product has always been a daily sunscreen. 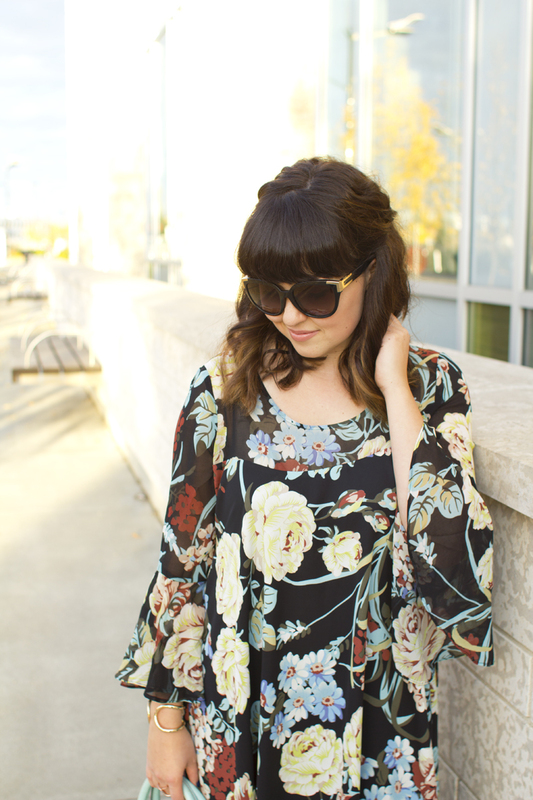 Protection against the sun is key in preventing wrinkles, age spots & cancer. I am always trying out different kinds. I have been spending most mornings outside at a workout class so I always make sure to put this on beforehand. I love this SPF 30 cream is an anti-wrinkle as well. I swear I can actually feel it working after I apply it. 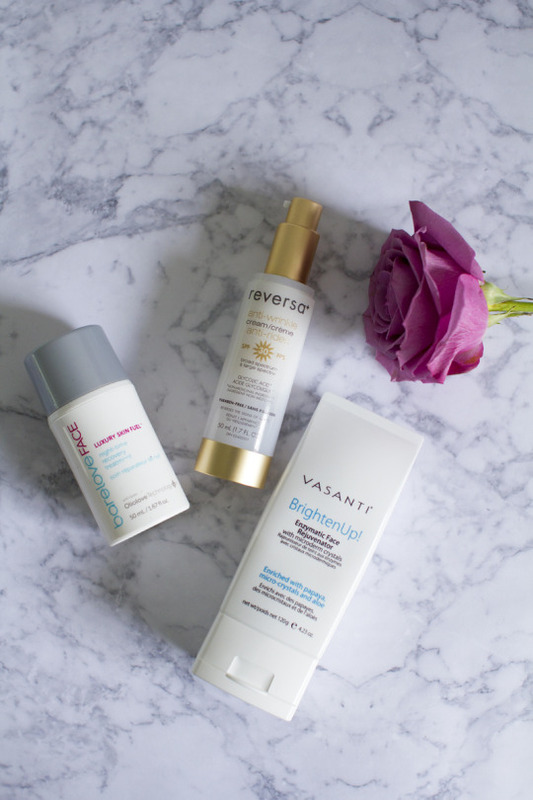 Vasanti Brighten Up BrightenUp! Enzymatic Face Rejuvenator: My favourite thing about this face scrub is how tiny the microderm crystals are. It is suppose to brighten, exfoliate and cleanse the face. My face definitely feels exfoliated & clean after using this. The brightening part, I am not to sure. I am sure I would notice a difference if I used this every day. 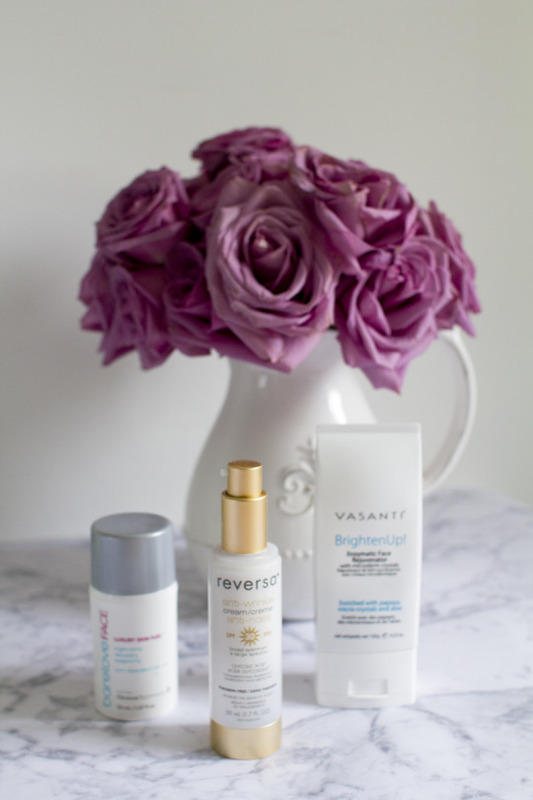 What are a few of your favourite skincare lines at the moment? Let me know! 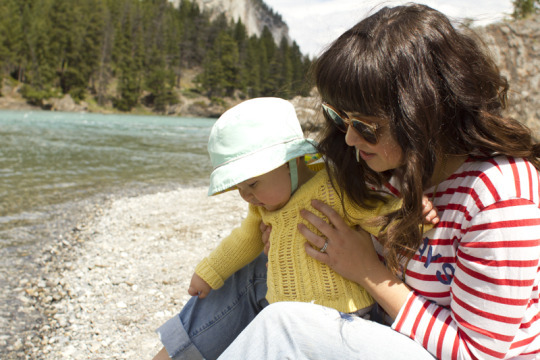 This summer we tried to spend lots of time outside and going on adventures! Our winters are far too long, so we make sure to savour every moment we can when it’s summer time! This year we had a new little member to be part of our Camponi Adventure Club, our daughter Emery. For some reason traveling with this tiny little person requires a lot more preparation & lots more stuff. 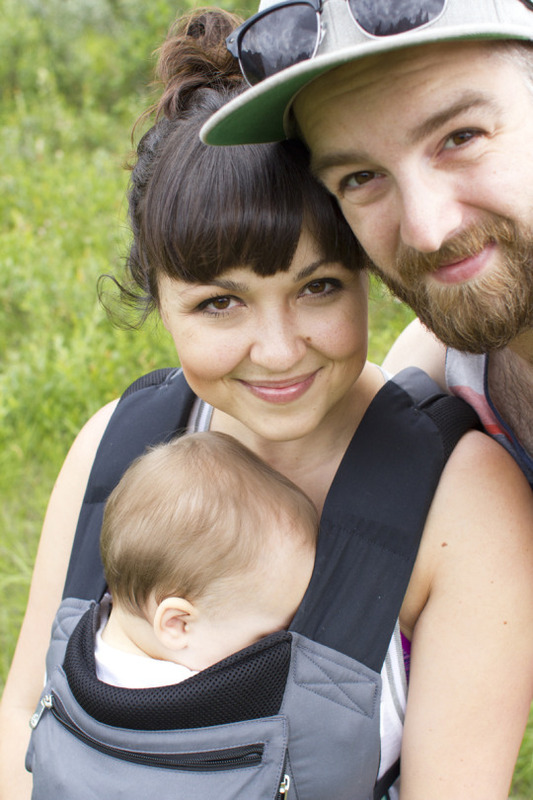 Our number 1 item & saving grace to have with us was our ErgoBaby Performance Carrier. 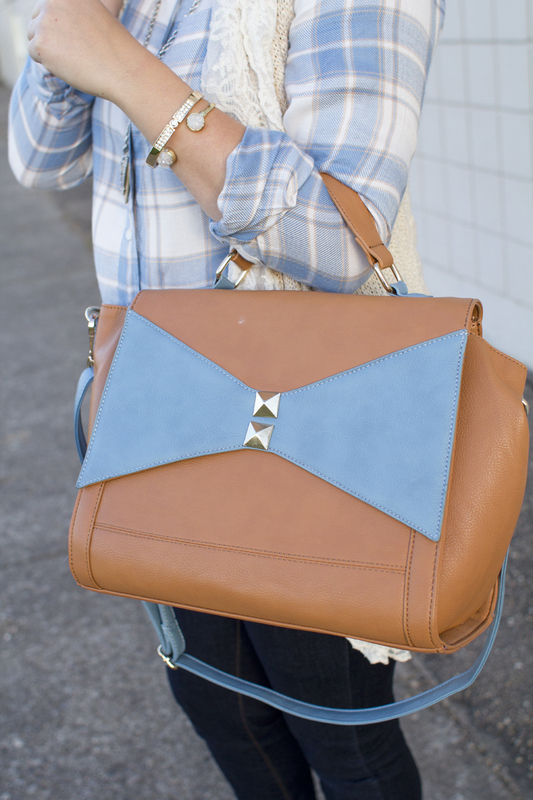 This carrier is just too amazing! 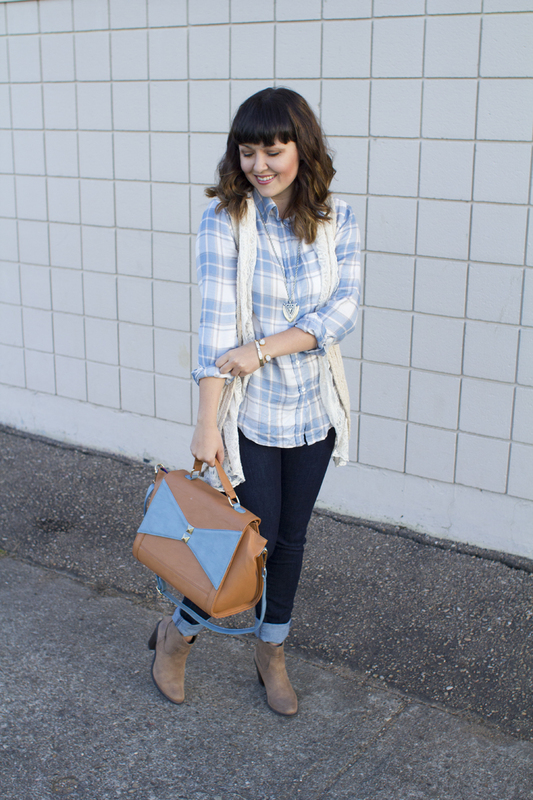 FYI this is not a sponsored post, we just really love this carrier! We went traveling all around the province. 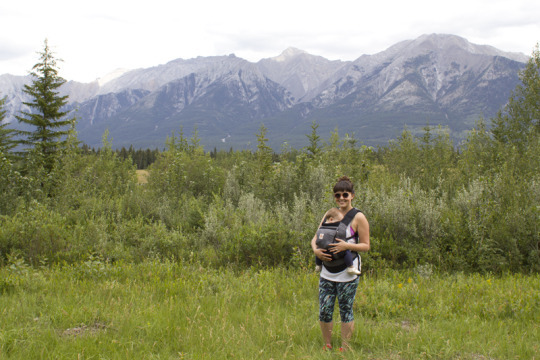 We spent a week in the beautiful Canmore. I love this tiny town, it is so cute & close to so many gorgeous hiking trails & spots. 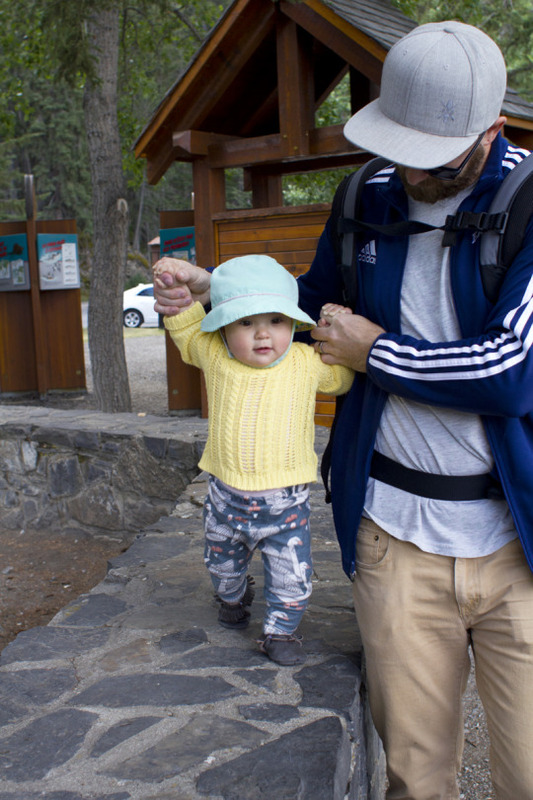 We hiked up to Grassi Lakes and took the easy trail since we had Emery with us. 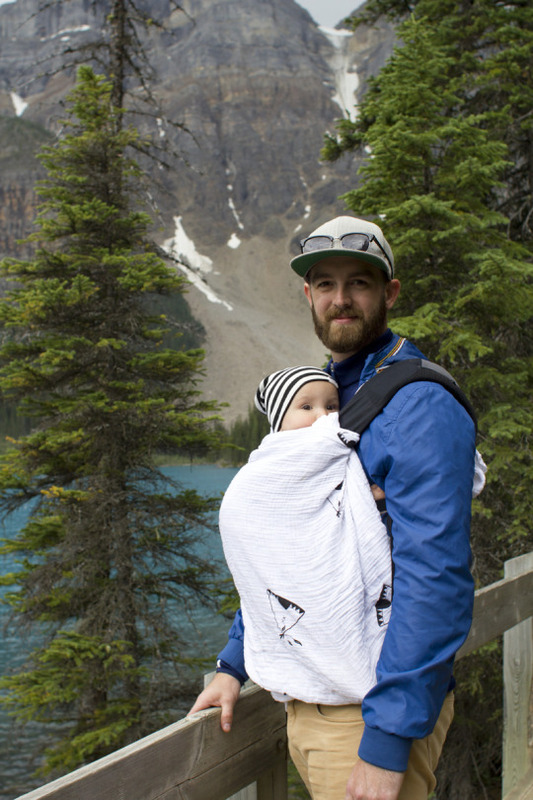 Aaron carried her in the Ergo for the hike up. You know, I thought I was in decent shape but I will admit there was some huffing and puffing happening. I forgot the camera for this hike, but snapped an Instagram (seriously so beautiful). 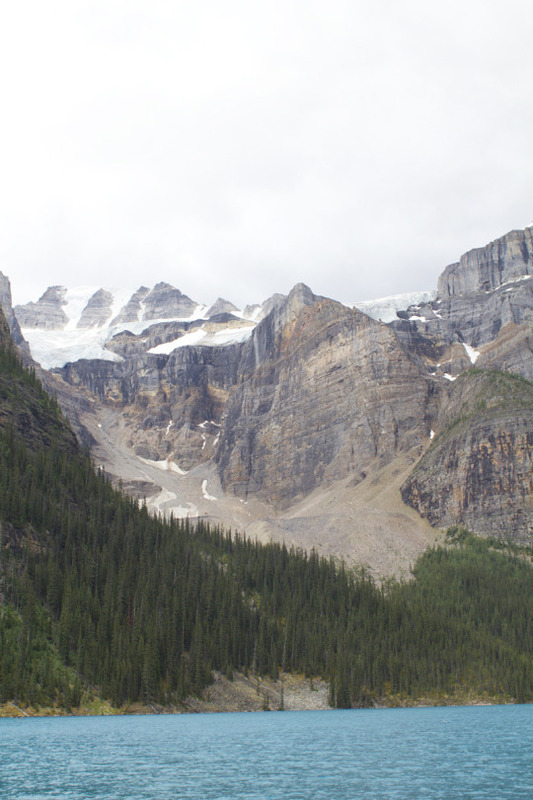 Another hike we went for was at Moraine Lake. This idea was mine & we were regretting it on the drive up the mountain. It was raining and a huge car line up, & to top it off Emery was loosing it. Thankfully once we got there, a parking spot had opened up for us. The rain had made it less busy but it was so worth it. We tucked Em into the Ergo and we went for a walk around this gorgeous lake. I mean, is this even real life? I could not get over that water! 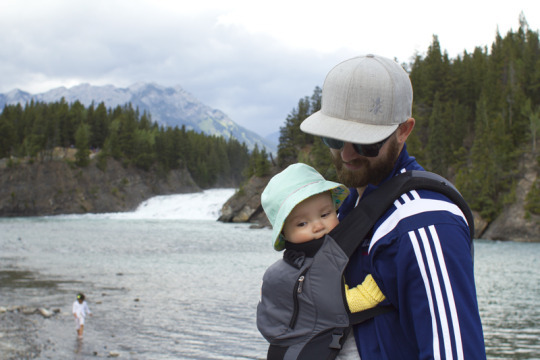 One of our favourite parts about the Ergo, is that we never have to worry about nap time. Emery snuggles right up to us & falls asleep in the carrier. 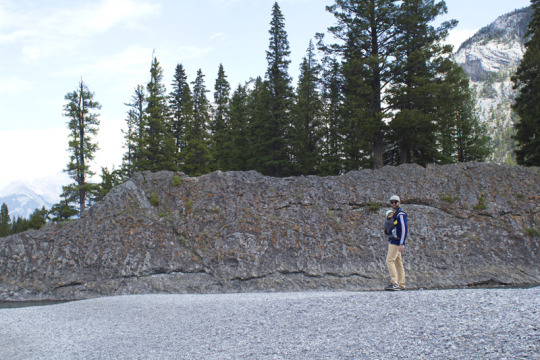 A couple other areas we checked out while we were in Canmore area was making the drive to Banff and going to Bow Falls, as well as Quarry Lake. 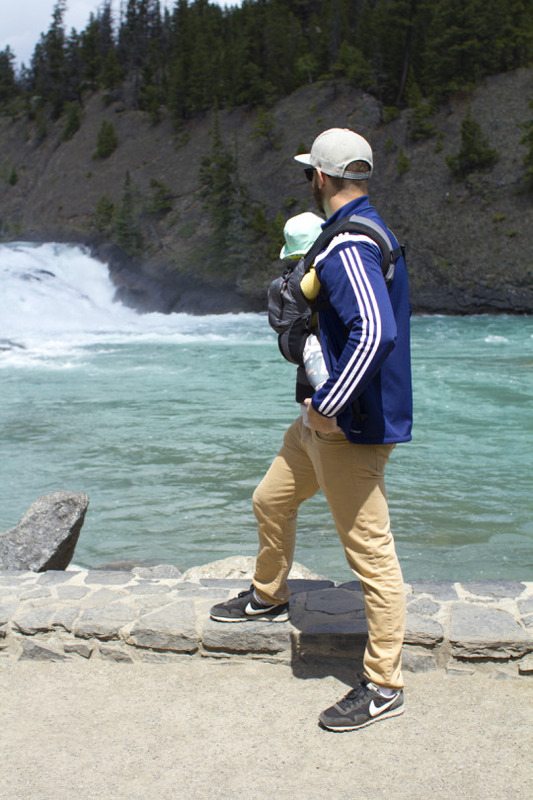 Bow Falls is gorgeous, and has lots to look at & do. 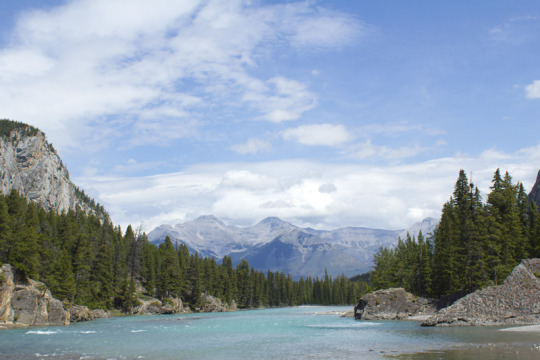 Not to mention the beautiful Fairmont Banff Springs hotel is there! One of my favourite parts about summer is going to the Farmer’s Market. I adore the atmosphere, getting fresh produce & supporting local entrepreneurs. Pushing a stroller around a Farmer’s Market is not so fun. 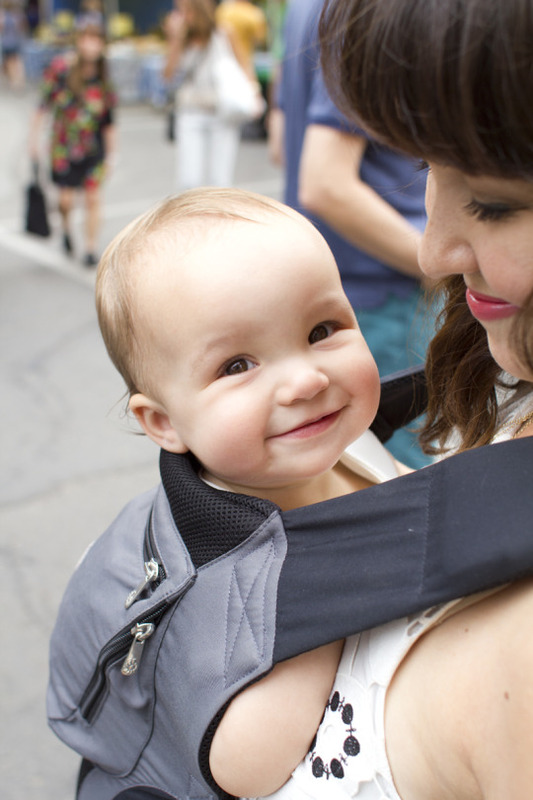 Having Emery in the Ergo is perfect for walking around the Market. 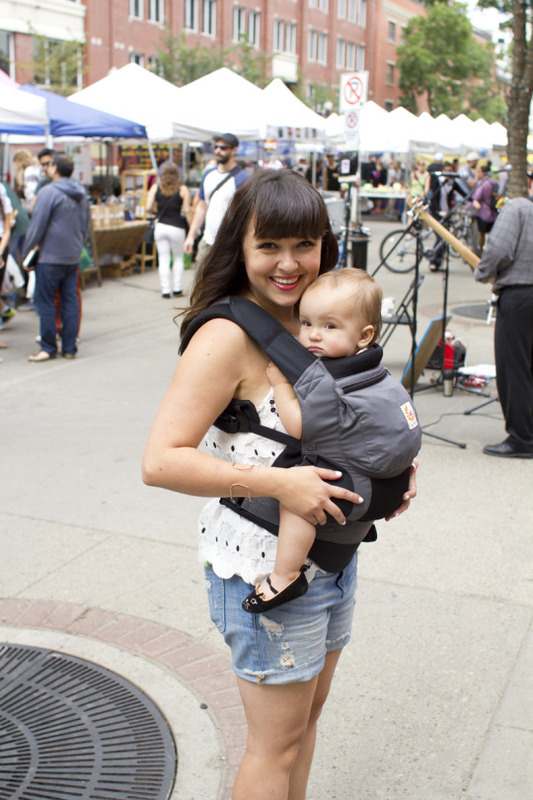 It’s great to have your hands free for trying out all the food trucks, the yummy samples & carrying your new goodies. Plus Emery has a great view to watch all fun stuff happening! I am sad that summer is over but I am looking forward to a new season. I am also excited to see the kind of adventures we can use the Ergo for this fall & winter. 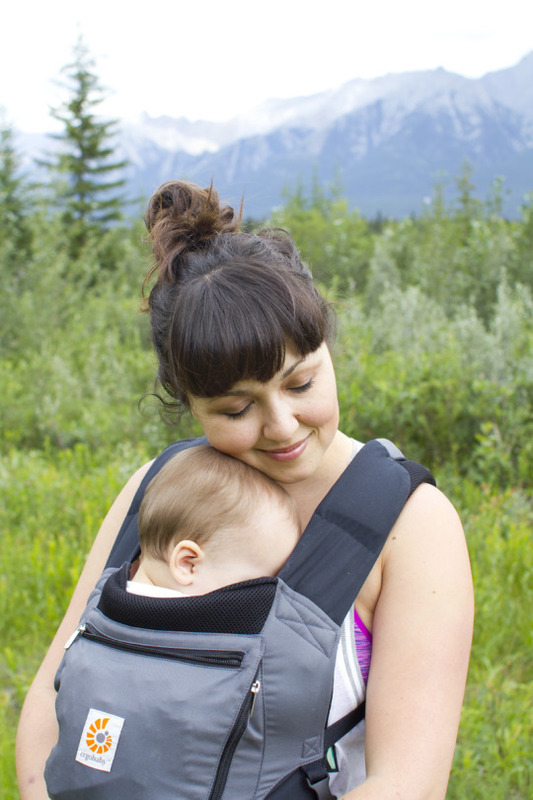 If you are thinking about getting a carrier, I highly recommend this ErgoBaby carrier. We got the performance one but there are also a few different styles. 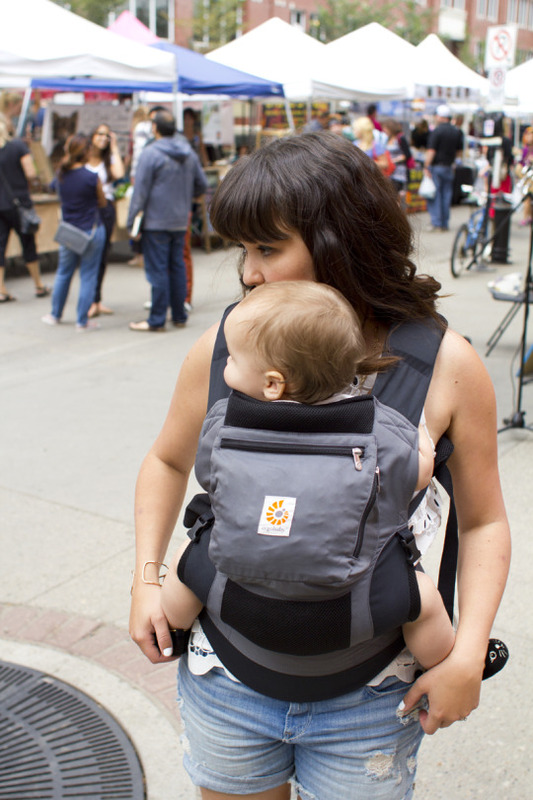 Did I mention that this carrier has three different carrying styles? 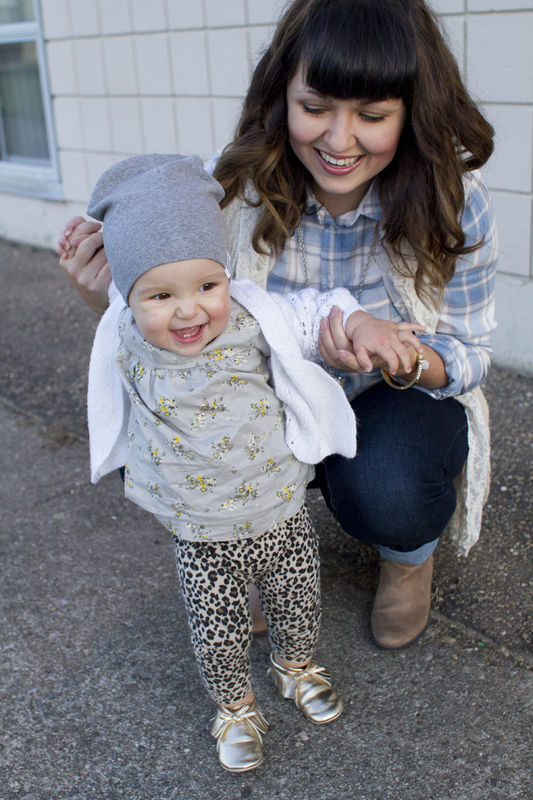 You can wear the baby in the front, back or a hip carry (we are still working on perfecting the last two).Happy baby wearing! Anyone else find it getting quite crisp outside? Are you all running to Starbucks for Pumpkin Spice Lattes? 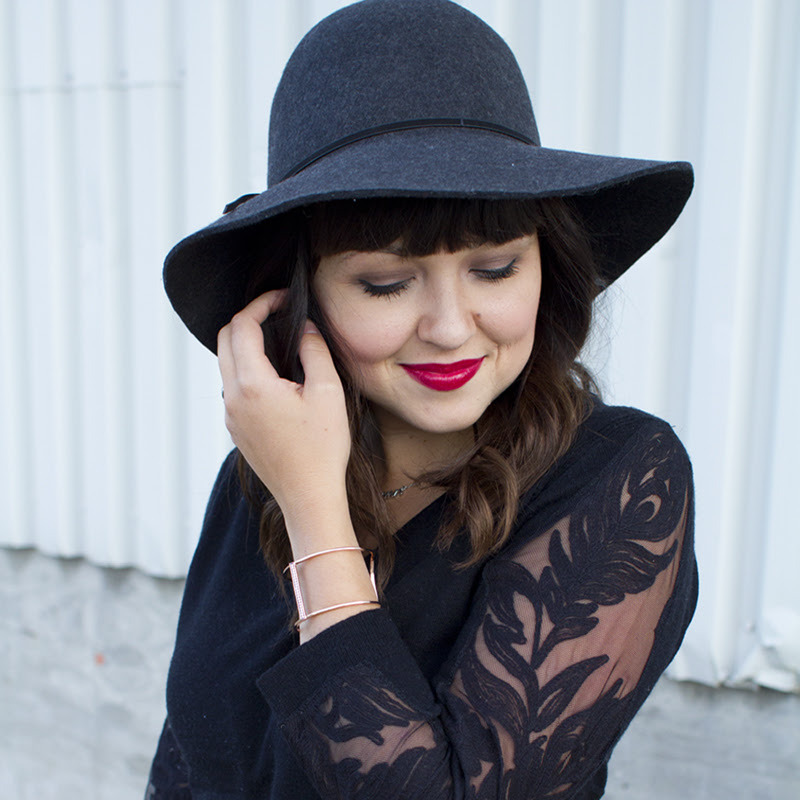 Fall is definitely in the air over here which has me breaking out my sweaters & fall hats. 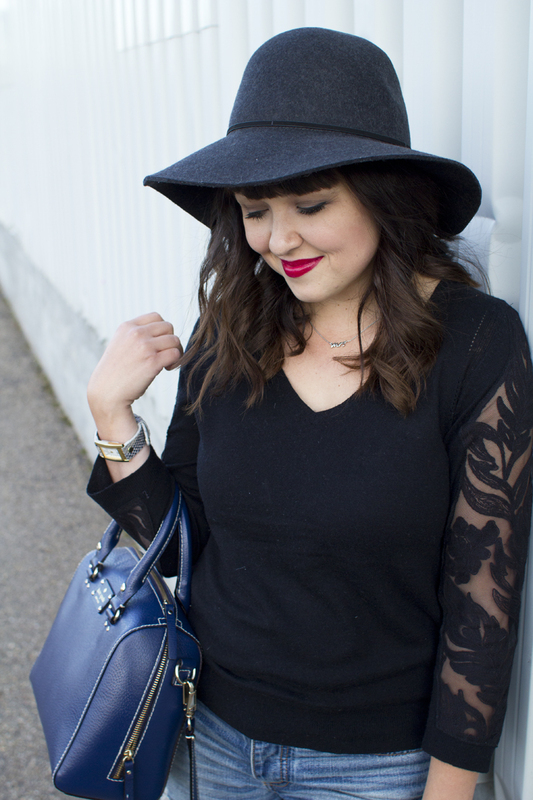 I adore the lace sleeves on this sweater, it is so pretty & different. Also on my adore list? Simple jewelry, like this beautiful Delilah K ritzy rose gold cuff. I hope you all are enjoying the change in the season. Have a wonderful long weekend!